Although an independent palace, Changgyeonggung is connected with Changdeokgung Palace. There is a connecting gate just next to Huwon gate. Changgyeonggung is the most compact and simple compared to the other palaces. But for those who watch K-drama and familiar with the historically renowned stories: the story of Queen Inhyeon and the king’s favorite concubine Janghuibin during the reign of King Sukjong, Changgyeonggung is the location. Changgyeonggung was originally built as palace for three dowager queens. Various parts of it were destroyed by accident or invasion and 1909 under Japanese influence many buildings were razed to make way for a zoo and botanical garden. In 1983 it was restored back. 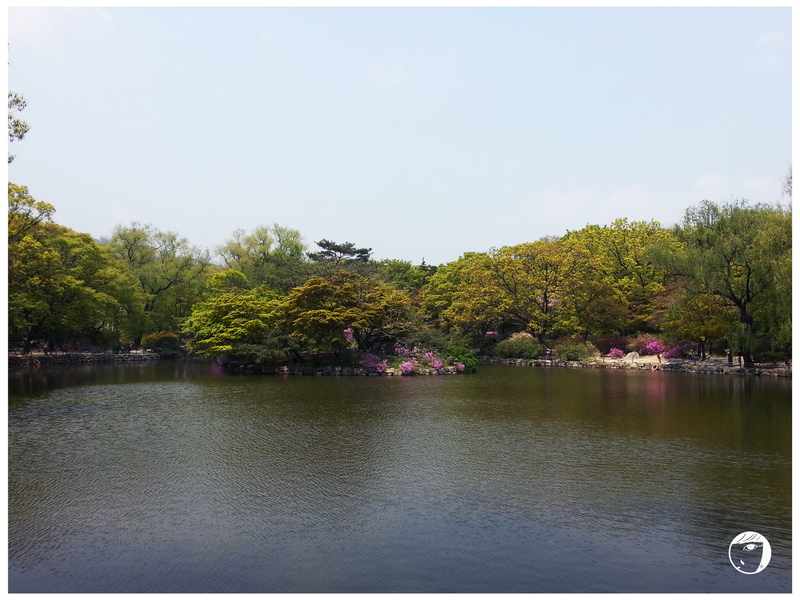 The complex still boasts some of the nicest lawn gardens and ponds in Seoul. Within the complex, there is a glasshouse built by a Japanese architect in 1909. 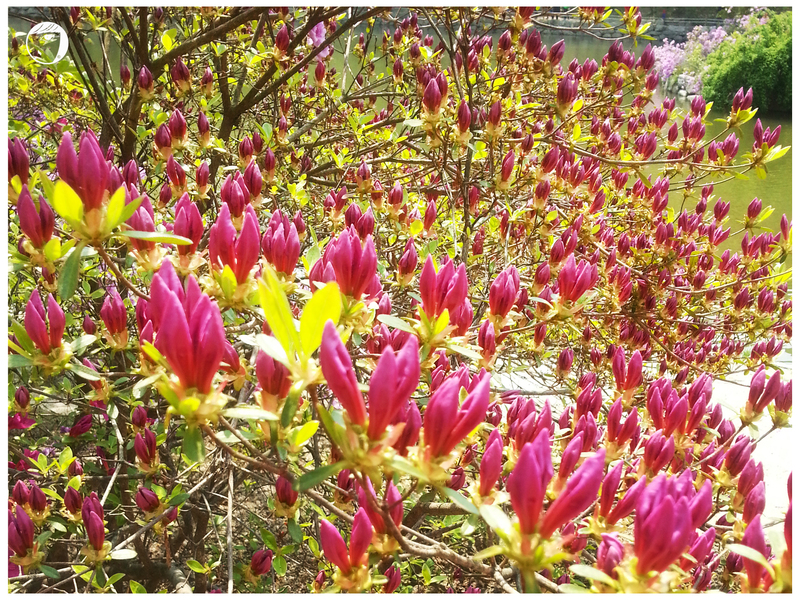 In the late spring-late summer, the flowers in Changgyeonggung bloom beautifully. 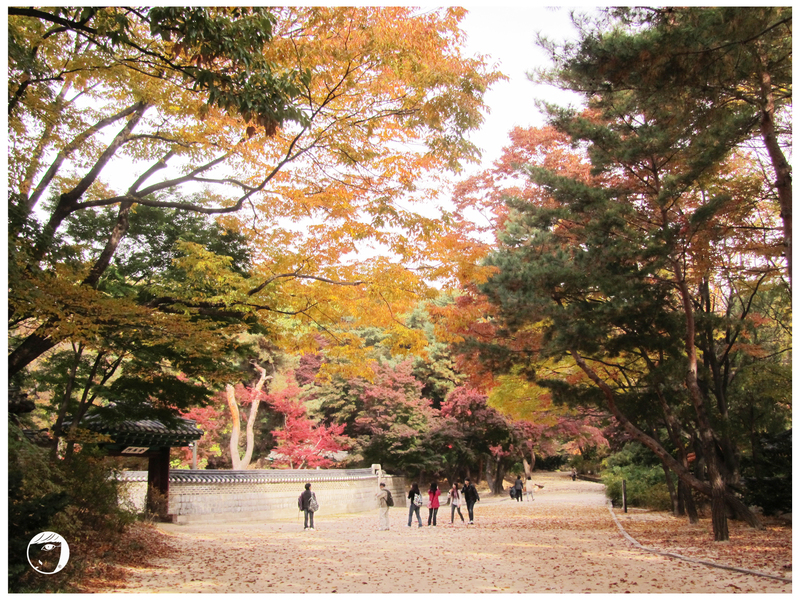 – Option 1 : Enter through a back gate within Changdeokgung Palace (main gate near Exit 3 of Anguk Station, Line 3). This applies for those who want to pay a visit for both palaces. 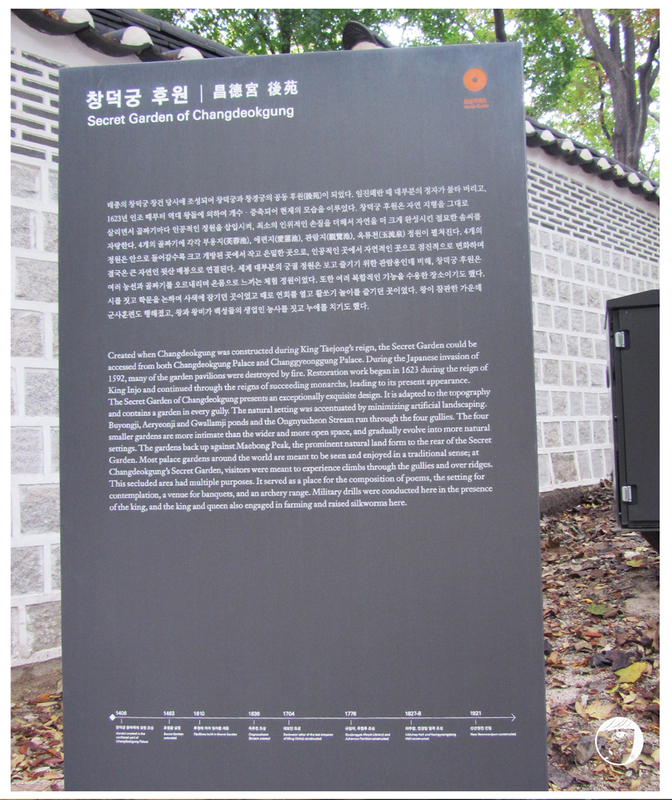 – Option 2 : If you wish to visit only Changgyeonggung, you can simply follow Changdeokgung outer wall until you reach Changgyeonggung, since they are side by side. Or, stop at Hyewha Station (line 4), take exit 4. Walk along the street to the end, turn left and walk until you see the main entrance across the main road. Gyeongbokgung (경복궁) is the main and the largest palace of the Five Grand Palace built by the Joseon Dynasty.The palace is located near Changdeokgung Palace 창덕궁. The palace is huge and big. The palace is divided into sections. I entered from Gwanghwamun gate which is located in front of the City Hall. Since that I’ve come through the gate, I made some time to watch the Royal Guard Changing Ceremony. The ceremony is held in front of the main gate every hour from 10:00 to 15:00. Walking straight from the gate, I saw the Geunjeongjeon 근정전 or the throne hall. Further in, behind the small cafe, I saw the Hyangwonjeong Pavilion향원정. Those who like to watch K-drama should be familiar with the scenery. It is more beautiful to see with our own eyes compared with behind the screen. Behind the Pavilion, there is another building which is tall but still have the similar structure as the palace. It is the National Folks Museum, which exhibits historical objects to illustrate the history of traditional life of the Korean people. When I went for the first time to the palace, I only had time to explore the palace until the Geunjeongjeon 근정전 and took a quick glance at the Pavilion. Luckily, in my second time we had enough time that day. My suggestion for you who want to go exploring the palaces is to wear sports / walking shoes. 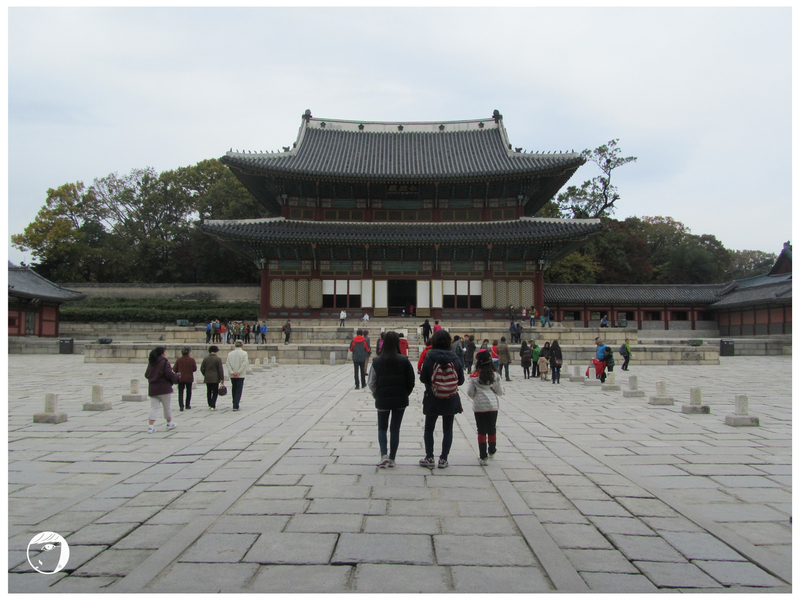 Some palaces especially Changdeokgung Palace 창덕궁 has uneven paths. It’s possible to explore 2 palaces in a day. 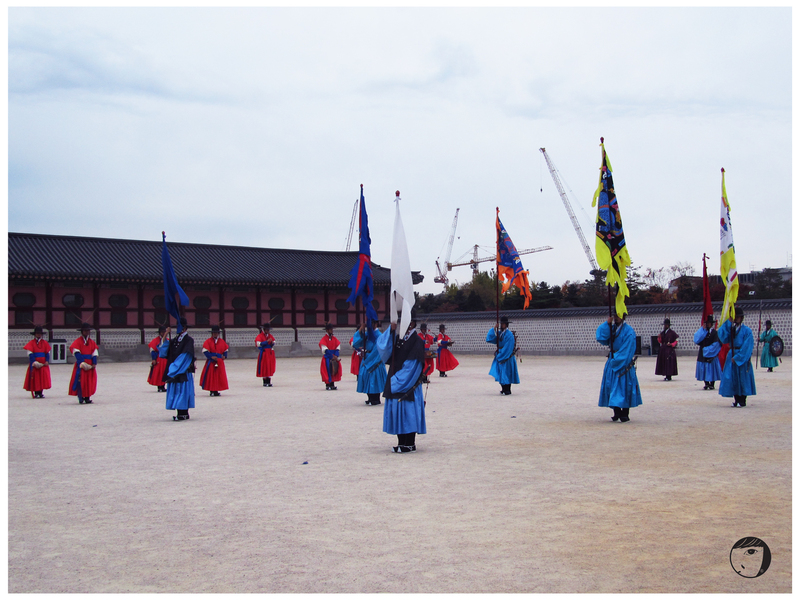 If you had limited time, I would suggest to go Gyeongbokgung 경복궁 or Changdeokgung Palace 창덕궁. Take subway to Gyeongbokgung Station (Subway Line 3) and take Exit 5. Admission fee for an adut is 3,000 won. 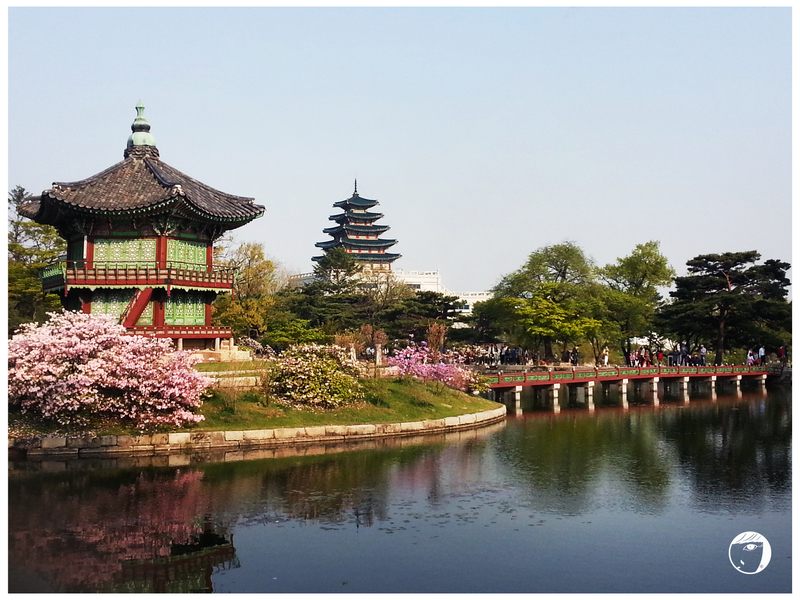 People has been saying about the beauty Changdeokgung Palace and its Huwon, the secret garden. 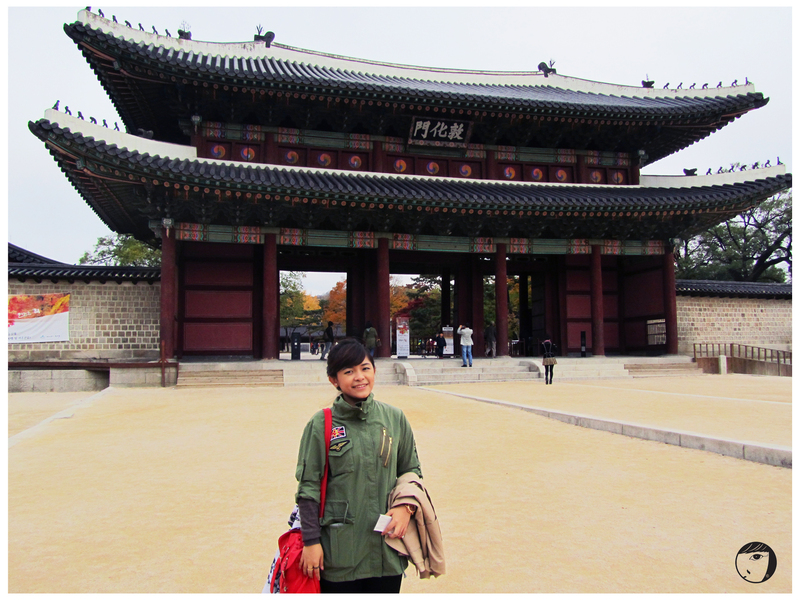 So, during my stay in Seoul this time, I have included Changdeokgung Palace in my list. 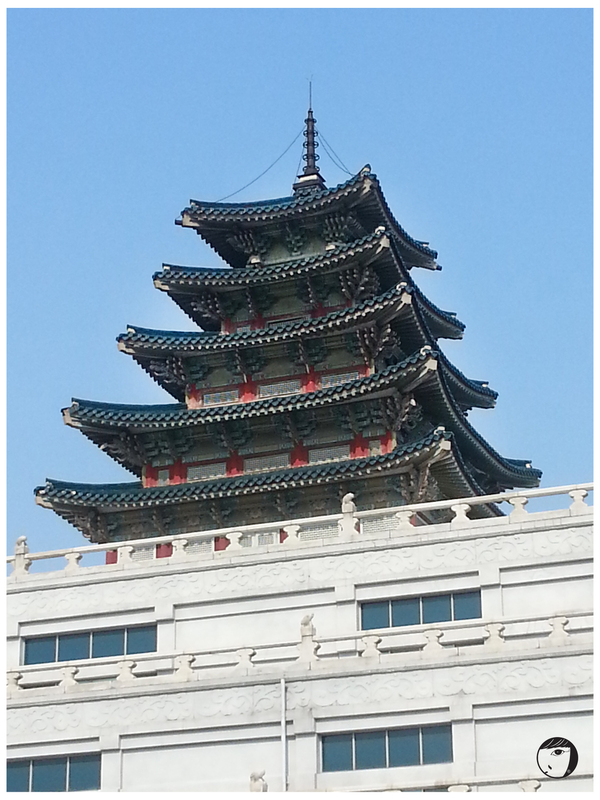 I decided to visit the Changdeokgung first then Gyeongbokgung Palace to catch for Huwon English tour at 10.30am. There are 2 tours provided for the visitors : the general tour and the Huwon tour. However to go into Huwon, we have to join the Huwon tour which takes about 90 minutes. The tour are available in English, Korean, Chinese and Japanese. Don’t worry about the time, you will naturally absorbed with the garden beauty. On the other hand, it is interesting to listen to the history and the functions of its structure. We have a choice to explore the garden without a tour guide, but since we have time and want to see every important parts of the garden, we decided to follow the tour. 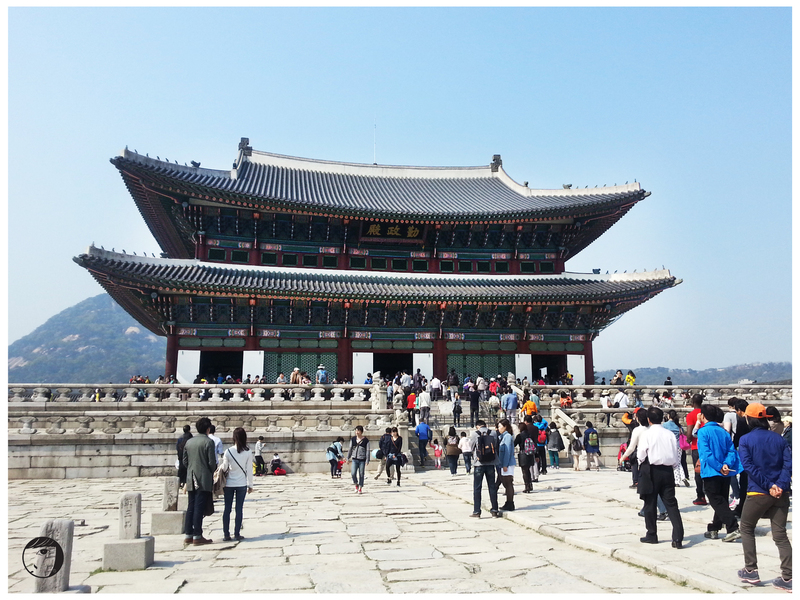 Before going into Huwon, I passed by Injeongjeon (Throne Hall). 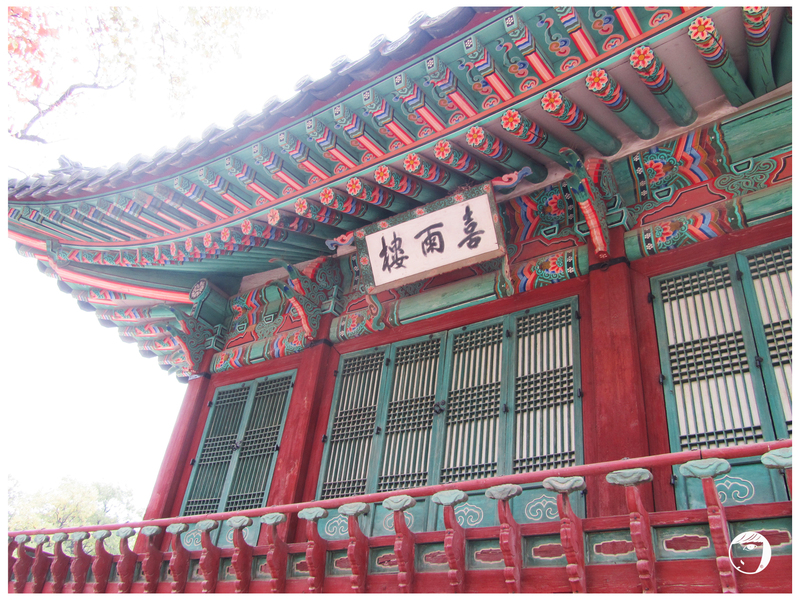 Huwon occupies sixty percent of Changdeokgung. The garden contained 26,000 species of trees, some of the trees are over 300 years old. Since the garden is considered as the only rear garden and an excellent example of Korean palace garden design, the palace is added to the UNESCO World Heritage List. 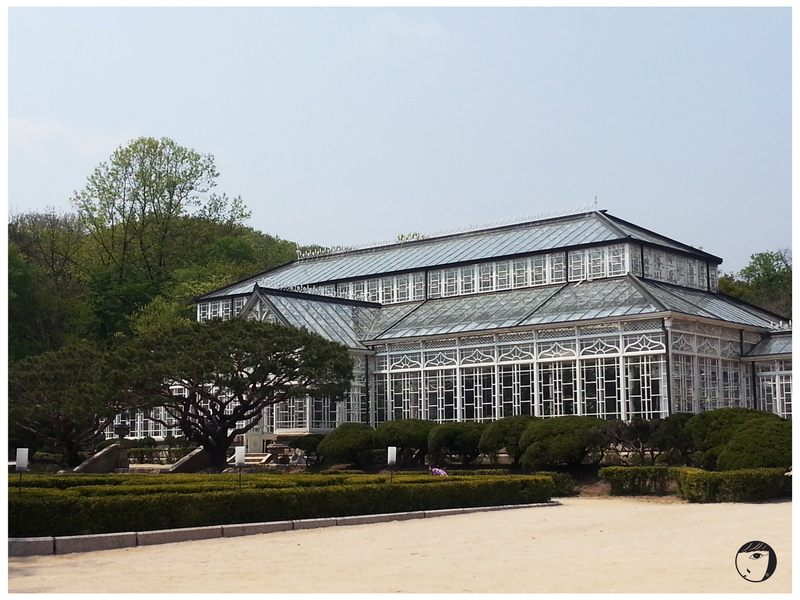 This is my favorite palace of all palaces that I have visited so far during my stay in Seoul. If Gyeongbokgung Palace is the biggest and the grandest palace among the 5 Joseon palaces in Seoul, Changdeokgung Palace is the most beautiful palace. The most beautiful time to see the garden is during the fall so you will see the trees in the garden in 4 different colors. I came back here again in the late spring early summer. 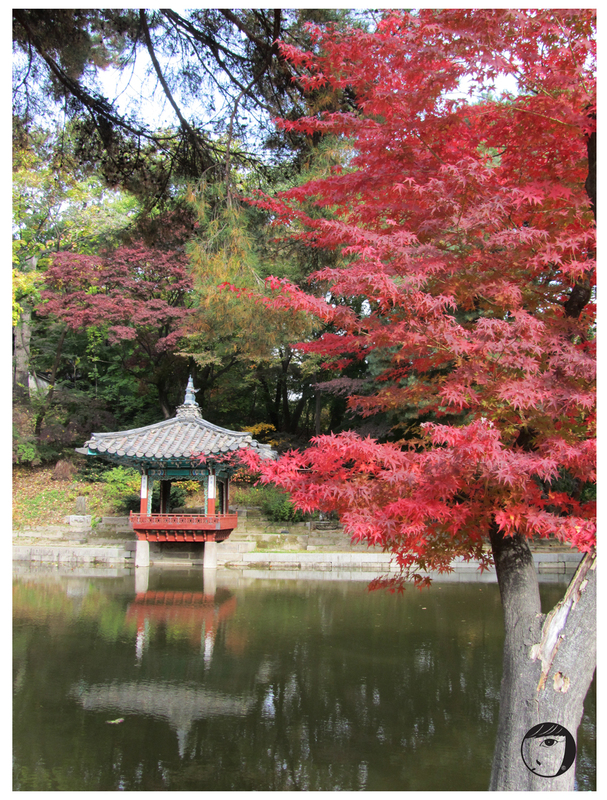 But indeed, Changdeokgung and Huwon is best to be seen in the autumn. Take subway to Anguk Station (Subway Line 3) and take Exit 3. Go straight for 5 minutes and you will see the main gate.